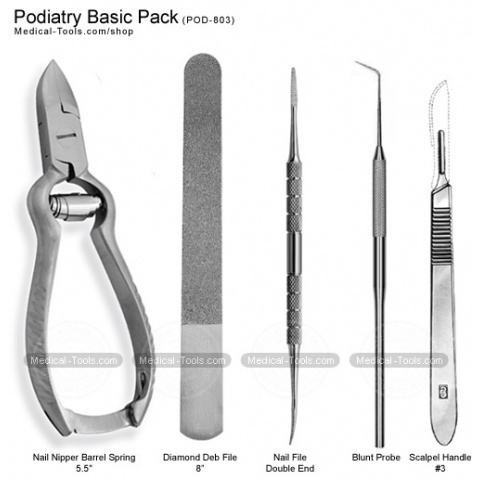 Podiatry is the study, diagnosis, and treatment of disorders of the foot, ankle, and lower leg. 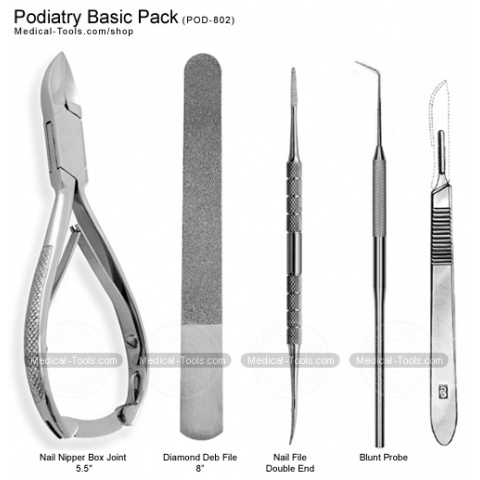 Podiatry practitioners focus on many different specialty areas, including surgery, sports medicine, biomechanics, geriatrics, pediatrics, orthopedics, or primary care. 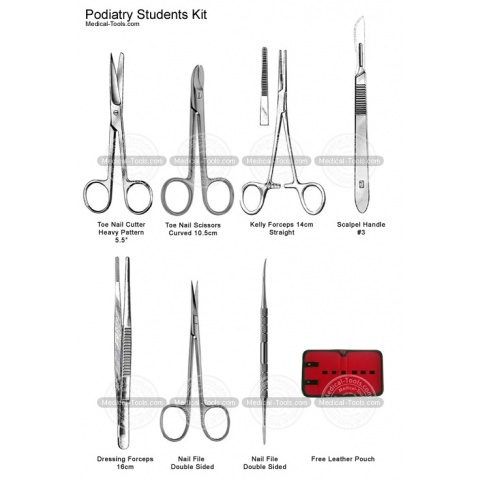 Our range of tools is used by podiatrists, podiatric and chiropody professionals, and foot examination. 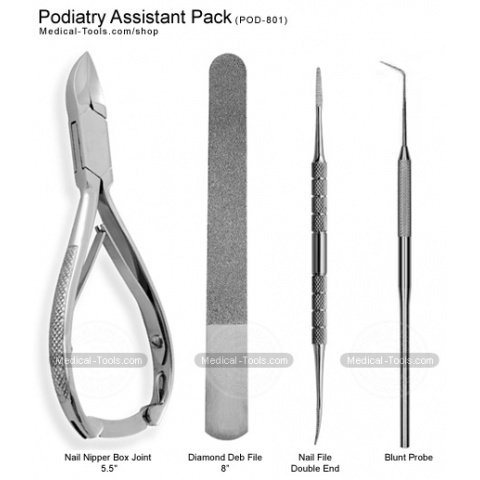 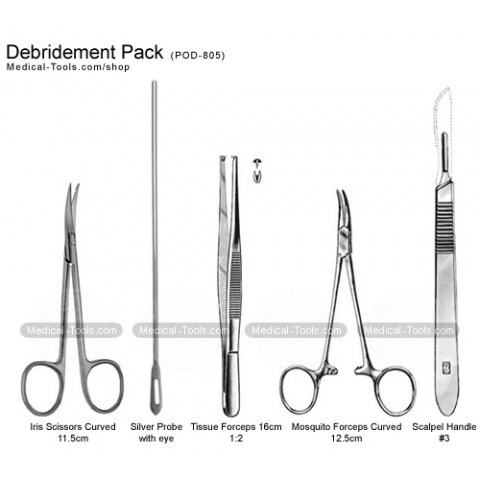 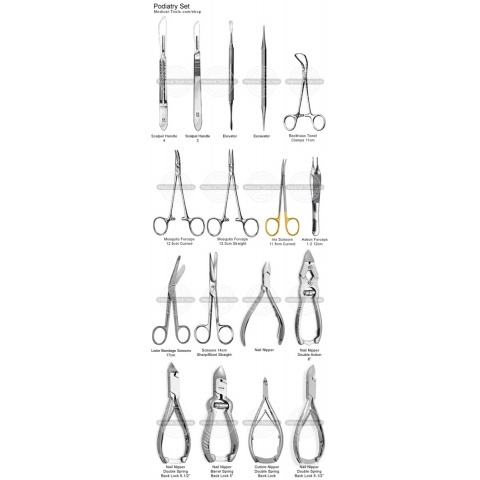 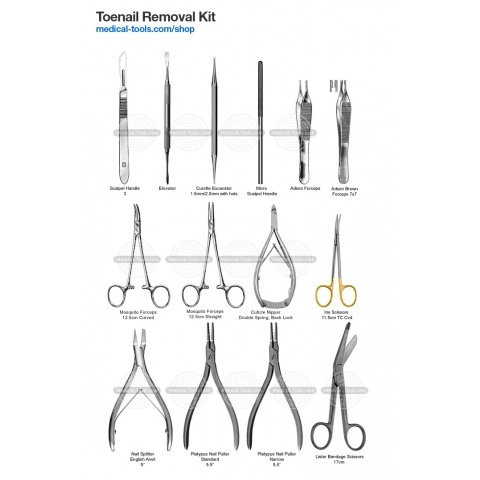 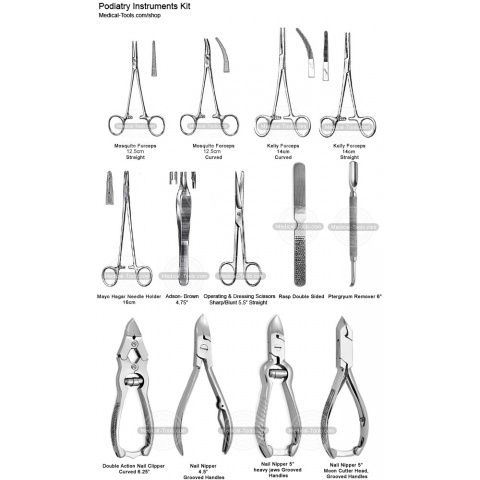 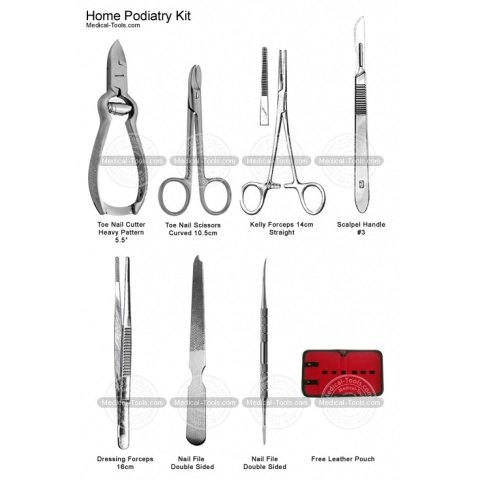 A wide range of podiatry tools, Instruments, Set and Kits is available. 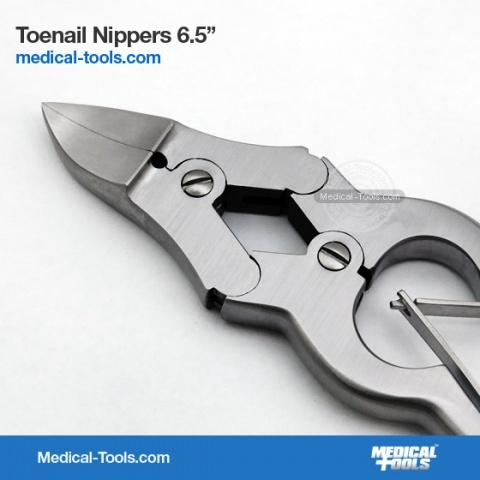 Toenail Nipper Double Action 6.5"